Stormi’s 1st birthday party was better than most adult’s party for any year. 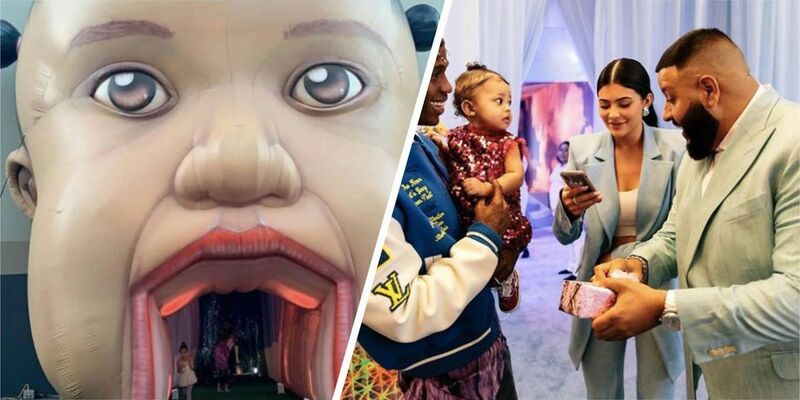 Almost 24 hours after Travis Scott’s AstroWorld Tour touched down in Los Angeles, the rapper and Kylie Jenner delivered on a fitting rendition to the attraction when they flipped it into StormiWorld for Stormi Webster’s 1st birthday party. The entrance of the party featured a large remake of Stormi’s head, just like the famous gold edition unique to her father’s likeness. The theme of the party also presented a theme park motif, with more kid-friendly elements, including carnival games, giant pretzels, and even a live performance of the viral “Baby Shark” smash from the song’s creators. The festivities were certainly enough to attract the attention of Twitter’s play-by-play analysts who declared Stormi’s birthday party to be more extravagant than anything they have or ever will experience. Naturally, with the Grammy Awards set to kick off tonight, the guest list wasn’t lacking with DJ Khaled even popping in to gift Stormi with mini Chanel bag. It’s safe to say that at just 1 year on Earth, Stormi Webster is already a pro at creating the FOMO effect that her famous family has long mastered.